San Francisco's 2017 greenhouse gas emissions are 36% below 1990 levels. 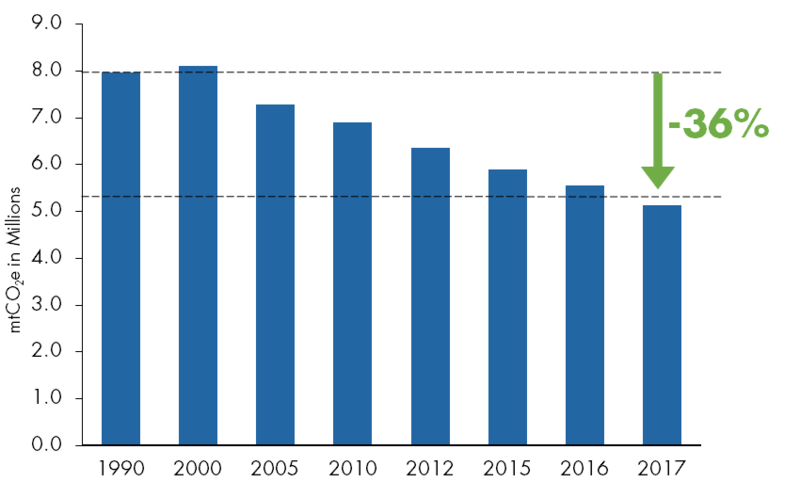 Between 1990 and 2017, San Francisco’s carbon footprint was reduced by 36% while population increased 22% and the GDP (gross domestic product) increased 166%. The City's progress towards its climate goals proves it is possible to reduce greenhouse gas emissions while growing the economy. The majority of San Francisco’s emissions are from electricity and natural gas used in buildings and fuel used in cars and trucks. 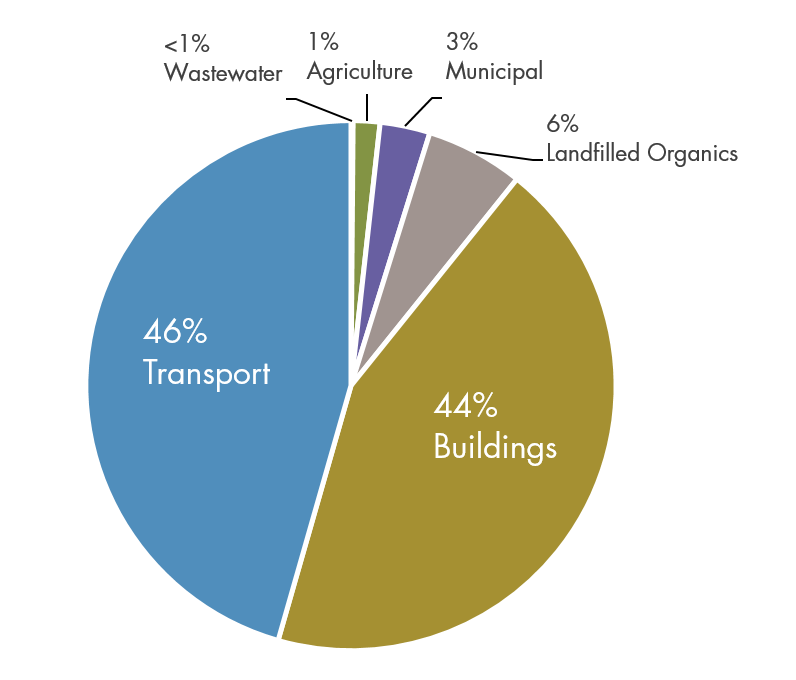 The remaining emissions are from the landfilling of organic waste, municipal operations, agriculture/urban soils, and wastewater treatment. San Francisco has an ambitious greenhouse gas emissions target of net zero emissions by 2050. About the GHG Emissions Data - San Francisco's estimated greenhouse gas emissions are based on international protocols which specify that inventories include those emissions generated within city boundaries. These numbers do not account for the full lifecycle emissions of goods and services consumed within the city.